At first things weren’t looking good, but a gamer shared the link and the views (and money) came flooding in. 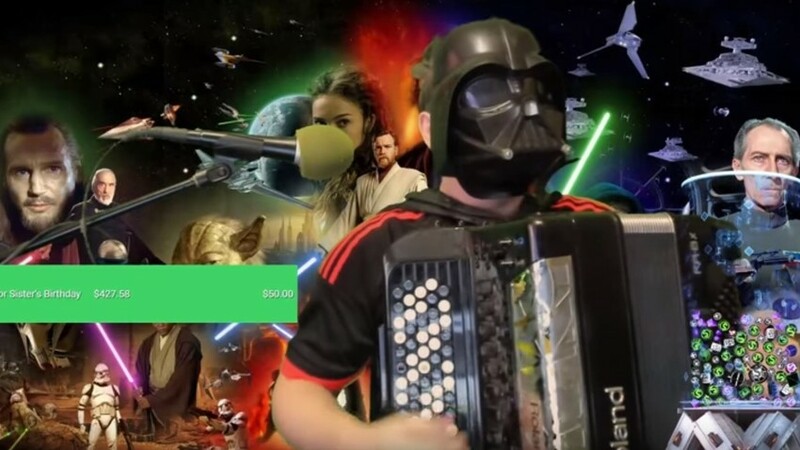 Vadim Cherubimov, 29, from Vladimir (about 190 km north-east of Moscow), started playing his accordian online with one goal in mind: He wanted to raise money to buy a gift for his sister. He even put on a Darth Vader mask before promising to play Star Wars themed tunes. He also bashed out “Never Gonna Give You Up" by Rick Astley. Here is one of Vadim’s Star Wars themed numbers. Vadim raised about $750 and attracted 500 listeners. He said his sister will choose a gift herself – her birthday is in April. “Perhaps something precious, or a lot of new clothes, or maybe we'll buy her a new phone,” Vadim said. “Honestly, Vadim did all the work. He got one person hooked and after I shared it he had the same effect on a ton of goons and other players,” explained “Klavas,” who shared the Twitch page. What do Russians think of personal data privacy?